The Android T95Z Plus TV Box is one of the hottest product on the market due to its exciting specifications and features. 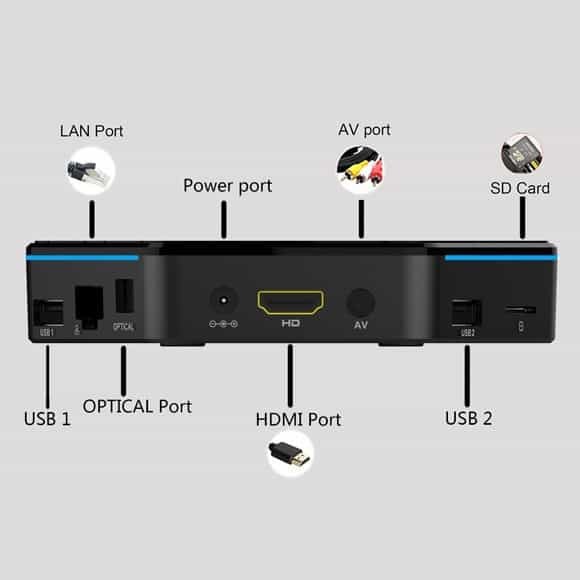 It also brings good news for those who love good-looking streaming boxes because the sleek design, LCD screen, and illuminating light makes it a visually stunning product. It features a nice interface and its mouse-like remote makes the process of navigation easy for the user. Applications featured in the T95Z are arranged in T95Z Plus, Music and Video categories. The device also features an application called “Kodi Updated” that will update Kodi automatically when there is a new release. 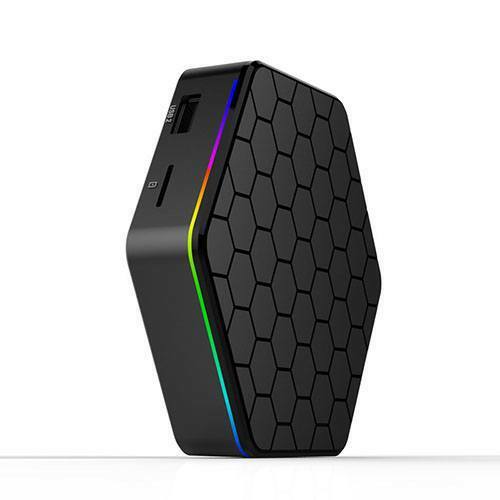 One of the most noticeable parts of the T95Z Plus Android TV Box is its hexagonal design that comes with honeycomb pattern texture on the top surrounded by a slick and colorful line. The LCD screen at the front displays some useful information. The display will show time and how the device is connected with WiFi or Lan, as well as the word “boot” during its initiating stage. The entire top edge of the box is designed with color-changing LED light that can be controlled by the remote. The key highlight about its visual appeal that the buyers will like most is its LCD screen, which increases its glamor quotient. Apart from the main box, T95Z Plus comes with a beautifully designed and highly functional remote, which is capable of mouse mode. This means users will be able to use the mouse on the screen and click on their preferred application. The nice-looking remote features dedicated volume buttons and this will abolish the need of finding the TV remote to control the volume while enjoying movies or television shows. LED buttons on the remote is definitely something one cannot ignore, as the glowing buttons will enable the user to operate the remote even in the low room light. A dedicated Kodi button has also been included in the remote control device. This enables the user to launch Kodi without visiting the app menu and clicking on it on the screen. The overall shape and size of T95Z Plus TV box have made the device attractive, which will definitely suit the modern home. The latest T95Z Plus runs on S912 Octa-Core ARM Cortex A53 processor that operates the box with the speed capacity of up to 1.5GHz. The core processor is assisted by an ARM Mali-820MP3 GPU that generates a maximum speed of 750MHz. The powerful configuration enables the Android TV box to play anything you throw at it. Due to the higher specifications, the speed of T95Z Plus is much better than other TV boxes. The box comes with Android 6.0.1 Marshmallow that gives it an extra edge over other boxes with older Android versions. 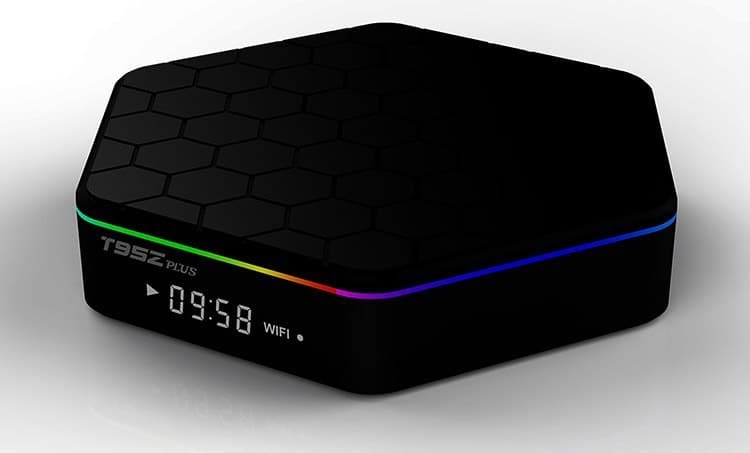 T95Z Plus TV Box promises smooth multi-tasking capacity with its 2GB DDR3 RAM. The experience of multi-tasking on a TV will definitely be unusual, but the latest Android TV box has made the process smoother and easier even for the first-time users. The device comes with integrated storage capacity of 16GB, while the users can extend the capacity to additional 32GB with an SD card. However, the storage capacity should be much higher, as users will definitely find it difficult to store a number of ultra-big file sizes for 4k movies. The low storage capacity will make it difficult for the users to save their favorite movies and TV shows in HD format. However, considering most of the movies will be streamed, this is something we can look past. The device has the ability to play 4K videos using H.265 encoding and full HD (1080p) files. The box comes with remote control, power supply, HDMI cable and user guide. Several ports are available across the back three sides of its hexagonal shape. The first port from the left side is a USB port allows the users to connect external devices like additional flash drive, keyboard, and mouse. The next is the Gigabyte Ethernet Port designed for wired internet connection for faster speed. However, the box is featured with dual band Wi-Fi connection facility that allows the user to enjoy high-speed wireless connectivity. The third is the SPDIF/Optical Port that enables the user to connect the device with surround systems. The next is for power, while the fifth and sixth ports are dedicated to HDMI and AV cables. There is another USB port with similar functional capabilities, while the Micro SD Card Slot on the right side will help the user to extend the storage capacity. However, using the slot is optional, as the device already comes with 16GB internal storage capacity. T95Z Plus TV Box is powered by Android 6.0 Marshmallow. Apart from its core operating system, the device has KODI 16.0 pre-installed, which will relieve from the trouble of sideloading the software. There will be a lot of pre-installed applications in the box and the good thing is that you can add more to it by simply visiting the Google App Store with your Gmail account. Among the key pre-installed apps, there are Showbox, Kodi and Netflix. You can add more apps in a particular category by clicking on the plus sign. The applications will appear in the form of an icon on the screen, where you could scroll from screen to screen to find and click on your preferred ones. Kodi 16.1 Jarvis is pre-installed in the box along with many popular add-ons and some well-known Kodi wizards as well. T95Z Plus comes with “Kodi Updater” that will help users updating Kodi when a new version of the app will be available. You may try to jump from 16.1 Jarvis to 17.0, but as of now, it will not work. The latest Android TV box comes with 6.0 Marshmallow, which is good news for users who are planning to update Kodi with 17.0 Krypton that requires 5.0 or higher Android versions. T95Z Plus comes with a very capable hardware configuration that allows it to play 4K videos even at 60fps smoothly. Powered by Amlogic S912 chipset along with Mali T820MP3 GPU support, the latest Android device provides you a glimpse of the future of television. The device comes with High Definition Multimedia Interface (HDMI) 2.0 port for better audio and video performance. It offers 4.0 Bluetooth connectivity that enables the users to connect it with other Bluetooth enabled devices. While a LAN connection is always preferable, the dual band WiFi feature will allow you to connect the device to high-speed internet at the highest speeds possible. The video playback on T95Z Plus is second to none, as all the common codecs can be played on the device without any issue. It can play more demanding codecs like H.265, 4K 60fps and 1080p Hi10p. However, like other Android TV boxes, the latest T95Z Plus does not support automatic framerate switching. It works well when dealing with wireless 4K streaming from a network file system and there will be no issue of buffering, which is definitely great. T95Z Plus’s powerful Mali-T820 GPU makes the gaming performance of the box excellent, as you can enjoy both 2D and 3D games without compromise. Two games titled Jetpack Joyride and Beach Buggy Racing have been tested on the device and it handled both of them well even in the maximum settings. 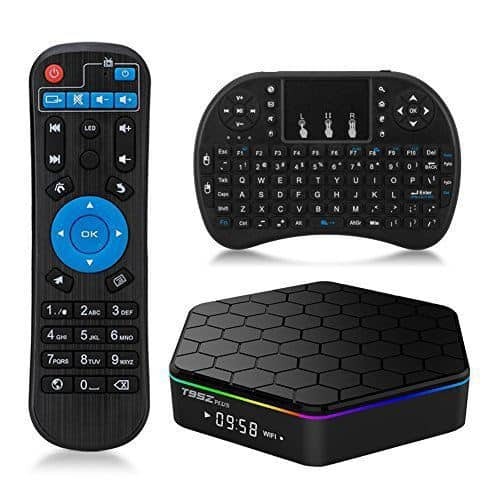 In addition, you can connect Bluetooth enabled gaming remote with your TV box that will make your gaming experience amazing. 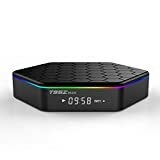 According to a buyer, he has tried a number of online TV boxes till date and T95Z Plus is by far best he has come across. The customer said that he loves the layout of the software and enjoying plenty of RAM space for uninterrupted live streaming. Sling TV, Netflix or YouTube, everything works perfectly with the device. Many of the customers have rated this as the best product that not only suits their budget but came with every feature they were looking for. Many customers said that they decided to buy the products after conducting a thorough market research. One of the consumers lamented that she had a similar device, for which she invested a lot compared with the T95Z Plus and she only came to know about this when her sister gifted the T95Z to her. The T95Z Plus is no doubt a great Android TV Box that comes with eye-catching design and highly functional features that altogether make the TV viewing experience simply amazing. However, there are some issues with sound quality and the unavailability of automatic frame rate switching in Kodi. But, such problems can be fixed with the latest firmware update, otherwise, the device is a virtual hub of entertainment and well worth the price. Previous Post Best IPTV Streaming Service for Arabic and Indian TV Next Post Roku Ultra Review – Enjoy A Wide Variety of Content!